Wood grains, hybrid cement and stone and fabric visuals — whatever the look, ceramic and porcelain introductions offer it. SpeakEasy is Crossville’s latest porcelain tile collection that simulates the look of real barn wood and fencing in large format tile planks. The line’s five colors, Sidecar, Zoot Suit, Sweet Georgia Brown, Silver Screen and Bank Roll, mimic the look of stained timber in a range of tones. Plank sizes are available in 6 x 36, 8 x 36 and 12 x 36. SpeakEasy is made in the U.S.A. through Crossville’s EcoCycle Tile Process, it contains a minimum of 4 percent third-party recycled content and is Green Squared Certified. It is recommended for commercial and residential use, including interior floors and walls and exterior surfaces. 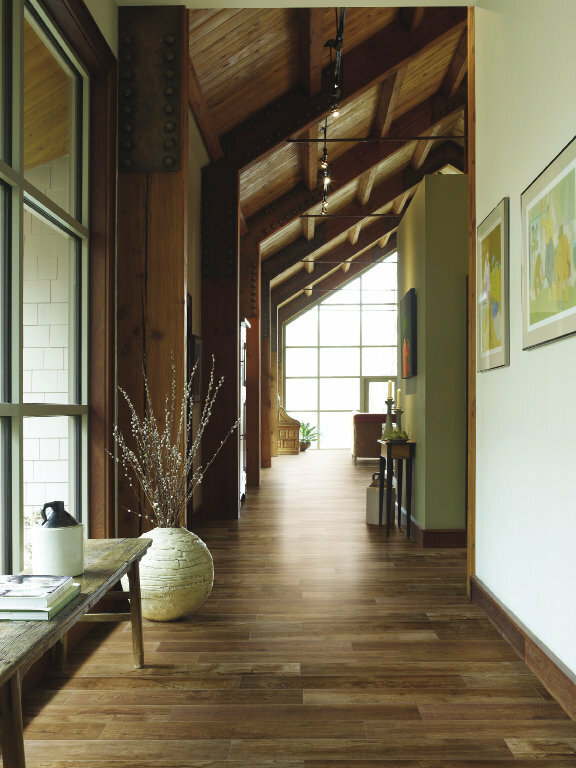 Daltile introduces Season Wood which offers the durability and ruggedness needed for commercial spaces in a realistic, rain-soaked wood style porcelain tile — made to withstand tough traffic, no matter the season. Daltile will also introduce: Imagica ColorBody Porcelain, Exhibition ColorBody Porcelain, Pietra Jura ColorBody Porcelain and Composition Glazed Ceramic. “Daltile’s latest launch is reflective of our ongoing commitment to ensure we have depth in our product offerings and continue to deliver product innovation,” said Lori Kirk-Rolley, vice president, brand marketing. Magnolia, the fragrant and iconic hardwood of the American South, is the inspiration for Florida Tile’s new high definition porcelain (HDP) wood-look tile line. It is an HDP color body porcelain, Greenguard certified, contains 40 percent recycled content and meets the new DCOF AcuTest to be installed in wet areas. “You get the look of the species without all of the maintenance and worries of a real wood,” said Sean Cilona, marketing director. Magnolia is available in a new 8 x 36 pressed plank, and four wood stain colors, chestnut, mahogany, burl and cherry and two additional contemporary colors, ash and fir. Strata Mat is a next generation, high-performance uncoupling mat for use under porcelain tile, ceramic tile and stone installations for both commercial and residential projects. “It offers so many benefits to the contractor, including an incredibly strong mechanical bond between the mat and thin-set mortar. Additionally, it helps accelerate the mortar’s curing time, as it is constructed so moisture within the mortar will quickly dissipate allowing for faster time to grout,” said Sean Boyle, Laticrete director, marketing and product management. According to Boyle, the new product is offered in a larger width than found with other uncoupling mats. Strama Mat can also be used with modified mortar. Marazzi introduces Perseo Classic Marbles. Advanced digital print technology graphically reconstructs the marble on Perseo’s porcelain body, rendering them much stronger and easier to maintain than natural marbles. The line is comprised of five colors—Caldia, Grey, Marfil, Brown and Zebrino— in a 24 x 24 rectified size. Each color in the collection corresponds to a particular type of genuine marble that has been centerpieced in buildings since ancient times. Perseo assures 45 percent recycled content, no VOC emissions and low life cycle costs. Made with state-of-the-art digital glazing techniques, MSI introduces the Salvage collection which reproduces the grain, texture and color of reclaimed wood. The 6 x 40 non-rectified glazed porcelain tile mirrors the length of traditional wood planks, providing numerous installation options. The collection is available in four natural hues—brown, honey, musk and red — complemented with a matte finish. MSI will also introduce the Sophie Collection — inspired by Athens Grey marble. 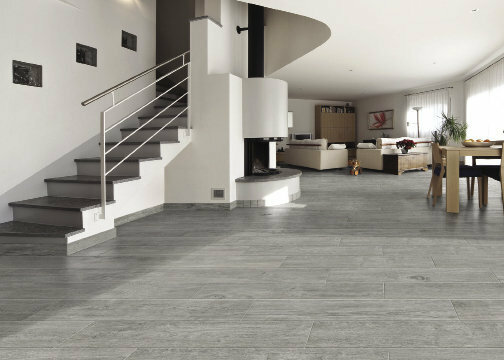 This Italian porcelain comes in four colors, Anthracite, Grey, Maron and White, in a 12 x 24 non-rectified format. This tile also coordinates with other looks, including stone, wood, porcelain and glass. For the Stonebox Mini collection, 36 types of natural marble and stone were photographed in HD for reproduction on porcelain stoneware, reproducing the diversity of each material. Ergon presents Playground, an urban-inspired collection that features two original surfaces: Resin and Paint. Playground represents the marriage of concrete and the artists brush strokes. The Ocean Drive series utilizes HD imaging design technology to blend the look of cement with the veining and coloration from stones. The series is available in four colors: beach, palm, shell and wave, and three sizes: 12 x 24, 18 x 18 and 13 x 13 with matching bullnose trim and 2 x 2 mosaics. Acustico is a new dry pressed ceramic tile collection from Viva with a look and design inspired by terracotta. The collection is available in a range of formats and five colors: white, sand, cotto, brown and grey. This year Aparici will be coming out with multiple new lines in ceramic, porcelain and white body. 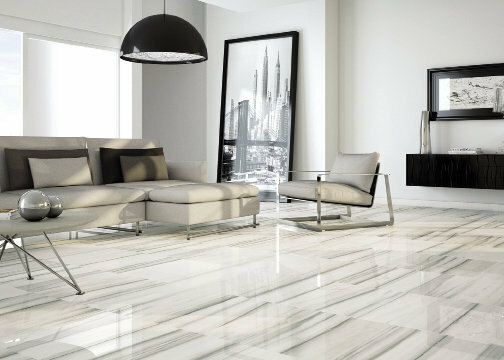 The Luxury Ceramic tile line includes: Tolstoi, Scarlett, Ulysess, Equinox, Enigma, Pixel, Dolomite, Muse, Romance and Strauss. 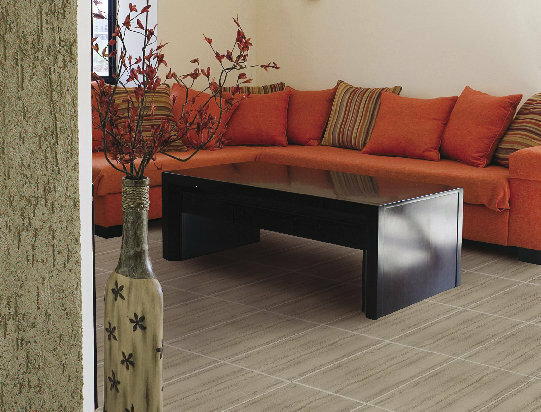 Ceracasa’s porcelain tile and white body collection includes: Labest, Subic, Saurima, Jainoor, Timber, Nature and Dolomite, Filita, Lucentum and Mosaicos. Two new collections of wood looks are Amazonia and Patagonia. Patagonia has a gently time-worn appearance available in 19.5 x 129cm and 14.5 x 120cm. Amazonia is a15 x 80cm, non-rectified tile which displays a marked relief resembling saw marks. Also new are Jura, Atlas, Nepal, Daino and Icaria. Jura is 100 percent ecologically sustainable. Atlas combines features of marbles, granites, sandstones and quartzites. Maison Boheme includes Vodevil, Evia and Efeso. Vodevil is a series of porcelain tiles. Evia is a series of white body wall tiles while Efeso is a series of glazed porcelain tile.